Shopping in town today and noticed a new tear room on Frederick Street, above a sweety shop too. Definitely worth a revisit as I didn’t have time to stop at the Curious Tea Rooms for a cuppa today. 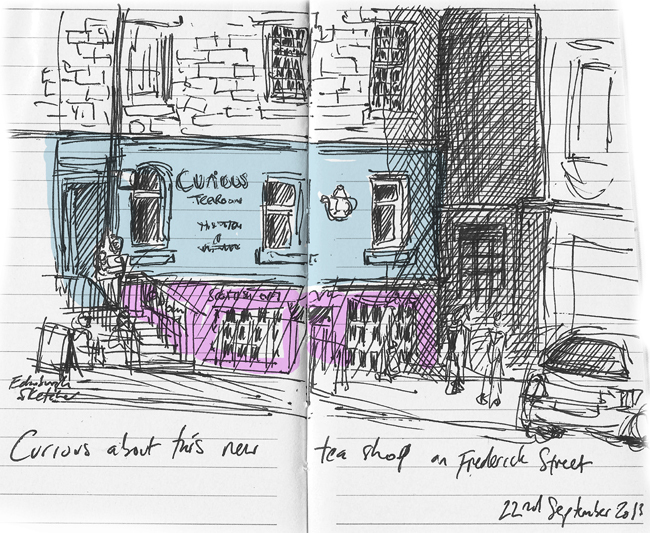 Just a wee sketch then, perhaps the next one here will be from one of those windows looking out! The sketch is in black ink on location, colour added digitally later.